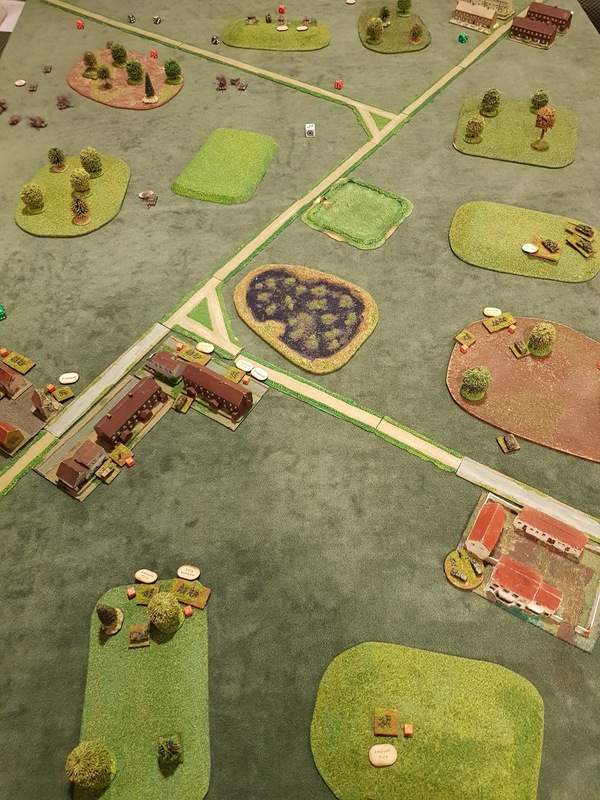 We tried out a larger game in 6mm, 840 points of British defending against 1100 or so points of Soviets. The Brits FHQ in FV436 took a mechanised platoon with 2 Milan ATGM firing posts, a troop of Mk11 Chieftains, an FV438, Blowpipe team in Landrover, artillery observer in Landrover, a battery of offboard 81mm mortars and a battery of 155mm guns with, crucially, one salvo of FASCAM. The Soviets took a company of T-72s and a platoon of infantry in BMPs. The Soviets made something of a tactical error in concentrating the bulk of their T-72s on the British left flank. The Brits had taken a salvo of FASCAM specifically to deny a preferred approach route for the Soviets, so they attempted to deploy their FASCAM rounds in front of their main armoured thrust. A lucky deviation placed the field directly on the armour, with only one platoon of T-72s detached to the BMP platoon avoiding the minefield. Any attempt to move resulted in a T-72 brewed up, so the surviving tanks sat tight, presumably waiting for dedicated mine clearance vehicles to turn up. A Milan team and Swingfire from an FV438 did for two of the mobile T-72s, for the loss of two Chieftains, while artillery was whittling down the BMP platoon. It was all over by the end of turn 2. We did play another turn as Ian had drawn a helicopter chit; a Hind E which destroyed a Chieftain, although a Milan team on ambush fire then destroyed it. We were less familiar with helicopter rules, so need to brush up on this aspect of the game. We did debate the effectiveness of FASCAM and whether it was too powerful. I'm not convinced either way, but it is pretty devastating on bunched up armour and effectively ended the game. 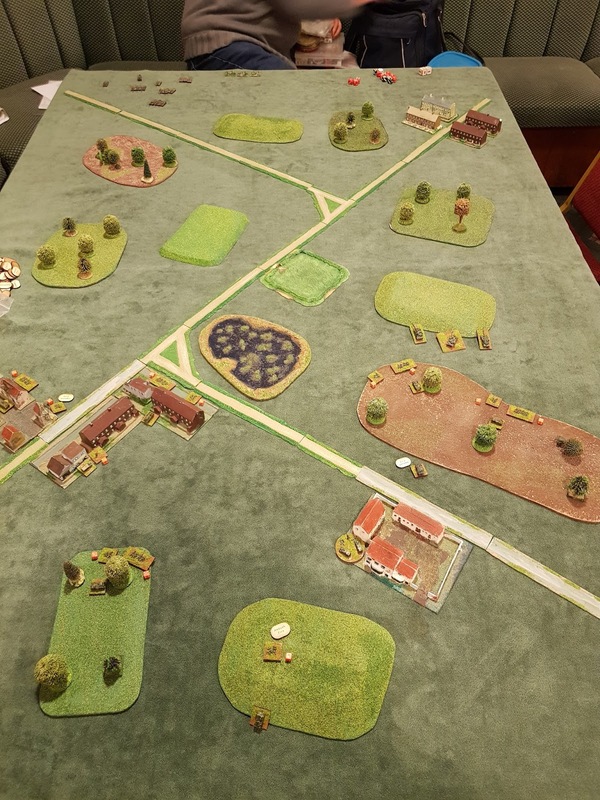 The board layout from the British table edge. The devastating effect of FASCAM on a concentration of T-72s. At the end of turn 2, effectively game over. Thanks for the info. I can't argue, but maybe when the Cold War went hot the US made FASCAM available to Allies using M109 155mm weapons. Or maybe the Brits got lucky and their M109s in support were from a US battery. 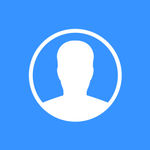 At the moment, FASCAM is an allowable asset in the British list and a damn handy one too. However, the effect would have been the same had we had fielded a US force and called in FASCAM. It is nasty if it lands directly on a concentrated target, the big question is, is it too effective or about right? I guess whether they should be available to British battlegroups is another question for Richard. There are several other modern rules systems that seem to assume FASCAM is available to NATO units in the 1980's, maybe the assumption is there would have been more sharing of technology and assets, although you could equally argue the US would have kept their innovative kit in support of their own units. Should have said, I have several of the modified FV432 with mine laying plough and mine scattering device so could have laid the minefield using them, but then it would have been a pre-laid minefield - don't imagine they'd last long flinging mines about just in front of a company of T-72s. As I've said elsewhere for the 86/87 period I have no problem with the Brits having access to FASCAM in a very limited fashion. I think you played it right, but maybe we need to reduce the FASCAM AP to D6 as per a standard Anti-tank minefield rather than D6+2. Just me getting carried away with modernity! I'll have a look at ATGMs vs helicopters in the morning and see if I need to fix any holes. Thanks again for you great AARs. The Hind E was trying a pop up attack with an ATGM (can't remember which type off hand) and the Milan was on ambush fire within range and line of sight. FM 6-20-40 is a needed read. The amount of shots needed to get a reasonable density minefield is also extremely high. For the effect of hitting a surface laid (and therefore observable mine), as opposed to hitting a dedicated emplaced barmine for example then I would give it D6 at best . Quote "An undisturbed enemy in column can work through this type of field quickly." Thanks CAG 19 for pointing out FM 6-20-40. The FASCAN section in it is very interesting and has changed my view a little. I think the majority of the FASCAM rules are fine but we could change the 3+ to set off a mine to a 5+ as the mines can be seen on the surface and we are probably not talking about the highest level of concentration in mines from multiple batteries and/or multiple fire missions. I also think as stated earlier that we could reduce the AP of the mine to D6. I'd probably retain the rest. Out of curiosity how did you handle the large variety of gear in a squad on a single infantry stand? I've got lots of 6mm from Fistful of TOWs and would like to try this but it seems like tracking underslung GLs, SAWS, SAMs & various rockets on such a small single stand could get bogged down very quickly. FASCAM is far too common in tactical wargames. There were a limited number of rounds and its use was controlled by the Corps Commander. The timing of firing it might be delegated down to brigade, but almost never where to use it. I too am interested in how others might track squad weapons in the smaller scales. I plan on using 10 mm. I am thinking about just counting each troop as an assault rifle and adding 4 more firing points to account for the SAW or LMG, and GLs. My understanding of battlegroup is that you can only fire on one target at a time, so each stand has the full firepower of the squad relevant to the target being engaged, so a 5 man British squad with Charlie G, engaging a T-72 would just use the Charlie G stats. If engaging a squad of infantry, each would fire his SLR. As far as which weapons are lost when casualties are taken, convention seems to suggest either random loss or the owning player decides which figures are lost, usually riflemen are the first to go. The only way to keep track of whether the three surviving men from your 5 man squad are carrying a Charlie G or an underslung grenade launcher would be to keep a paper record or use some kind of token to identify specific weapons, but that could get a little tedious during play. Couldn't agree more. 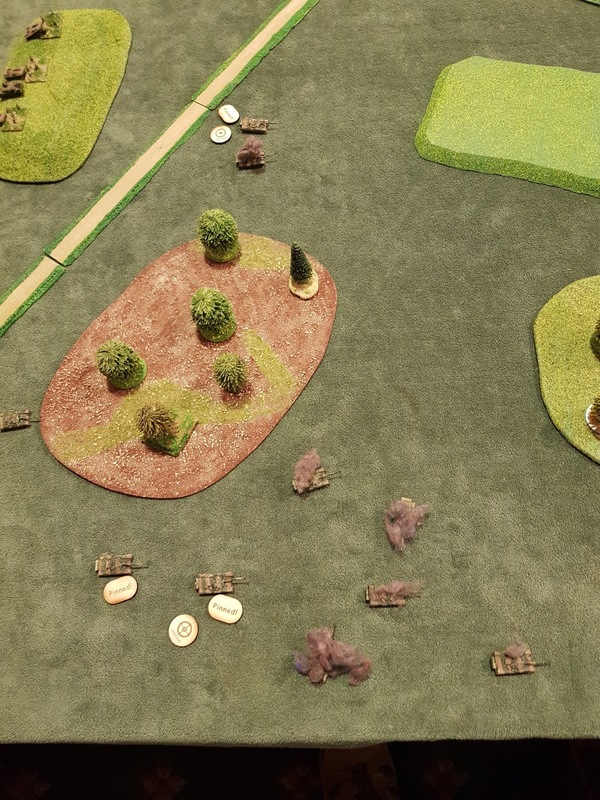 In the lists, it is a specific asset with a points cost, purchased from the points allocated to a battlegroup, reflecting the Corps Commander recognising the sector you're gaming as the key position in his overall battleplan and allocating the resources to you as the local commander. Could work. It really depends if all the members of a squad can operate all the weapons systems they carry. If they can, then the loss of personnel only reduces the firepower by basic weapons, up to the point where there aren't enough figures to carry all the more complex weapon systems. In the case of the 5 man British section with Charlie G, as I understand the last man to go is the Charlie G gunner, so when just one guy is left, he can still fire the Charlie G or his SLR. This is how we work the main rules for WW2 in 20mm as well. RoF 9, I guess 11 if you want to track the bonuses for close range assault rifle fire. RoF 9/11 unless engaging armor then of course use the ATGM stats. Sounds fine to me. AFAIK, you can chose to lose the riflemen first, on the assumption that any member of the squad can use a squad weapon, so loss of 2 casualties to stand 1 or 1 casualty to stand 2 will result in a reduction of firepower by 1 (2 close range) per figure. However, both stands are part of an 8 man squad, so hits could/should be allocated to the entire squad, rather than to a specific 4 man stand, unless you want to treat them as fire teams, although that approach would suit post-Cold War organisations better. Beyond the loss of basic riflemen, the player would need to decide which weapon could no longer be carried/used due to lack of effective personnel. Even in 15mm games, we do this as most of my opponents use Team Yankee bases. In the size of game we routinely play (500 to 1000 points or so), players can just about keep track of losses, but it's probably worth thinking about how to record losses for larger games.